If you are organizing Thanksgiving dinner this year, you should check out these modern thanksgiving dinner party invitations and announcements. Also, you can save up 50% on your order by buying in bulk! 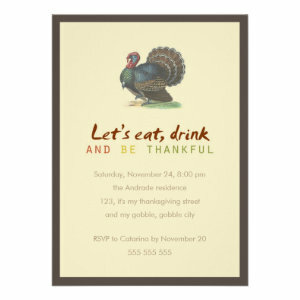 These festive Thanksgiving Dinner Invitations are the perfect way to announce your thanksgiving plans. The turkey is on, the ham is looking good and you've even remembered the cranberries. Thanksgiving is a time to spend with family, friends and loved ones. Filled with lots of beautiful Autumn Fall colours to put you in the mood for your celebrations. Burnt oranges, deep rich reds, chocolaty browns and golden yellows make up these seasonal announcements, showing the truly amazing colours of nature during this wonderful time of year. 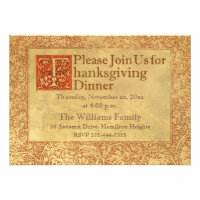 All Thanksgiving Dinner Invitations can be personalized to suit your needs. Change the text, colour, style and layout. 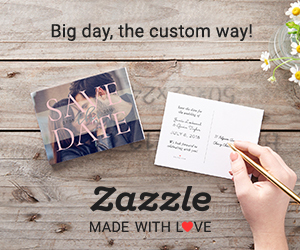 Include guests names, party details and any other relevant information. 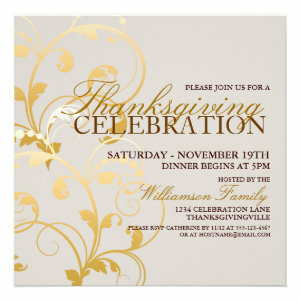 Get your celebrations started and the family feast underway with these lovely Thanksgiving Dinner Invitations.